First Year Involvement Opportunities in ASG! 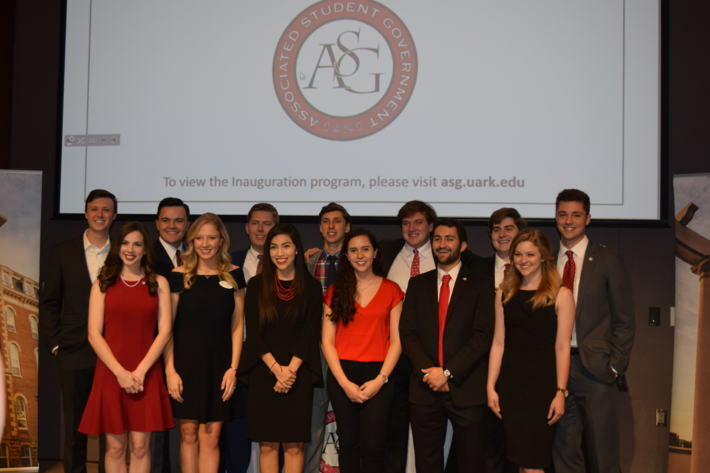 The Associated Student Government (ASG) at the University of Arkansas is a student-led organization that acts as an organized voice for ALL undergraduate students and strives to effectively represent undergraduate student interest, and that includes incoming students! ASG has multiple opportunities for incoming freshmen to get involved in leadership development within student government including Freshman Leadership Forum, ASG Senate, and the Associate Member Program! Freshman Leadership Forum: Freshman Leadership Forum members will develop leadership skills and increase awareness of diversity in order to effectively represent fellow students in the future. 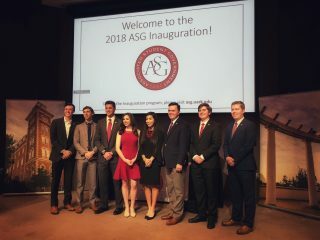 Freshman Leadership Forum members will learn the operations of ASG through interactive educational programming, serving in multiple roles within the organization, and intentional networking. Click HERE to find more information and links to the membership application! Applications are now open and will close August 27th. ASG Senate: The Senate is the legislative branch of ASG and represents the voice of all students. Senators serve on 11 committees focused on issues as diverse as our campus. In addition, the Senate has a budget of over $10,000 to appropriate for individual projects. Each senator has the power to propose bills and resolutions related to any area of campus life. The ASG Senate reserves 4 seats for incoming students. Click HERE to find out more information about Senate. Vacancy elections will be held in the fall semester to fill any vacant seats, including the seats reserved for incoming students! Keep an eye on our social media for more information about elections! Associate Member Program: Associate Membership is a minimal commitment program designed to introduce students to the Associated Student Government while observing and participating in limited, specific activities as agents of ASG. Student directors of this program provide leadership to the Associate Members through the organization and implementation of the Associate Member Program. Click HERE for more information. Applications for the Associate Member Program will open later in the fall semester. Keep an eye on our social media for announcements about these applications!